Have our wonderful cheese board awaiting your arrival. It comes with 5 varieties of cheese, fresh red seedless grapes and an assortment of crackers. (Cheeses vary). For that extra special touch, to your romantic stay, we’d love to bring our 3-course breakfast-of-the-day to your room. Enjoy the same home cooked meal, that is served in our cozy dining room, but enjoy it from the privacy of your room. *Daily breakfasts, in the dining room, are included with your stay. 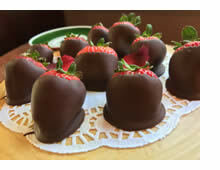 Fresh ripe strawberries dipped in Ghirardelli chocolate. How could you say no! Celebrate any occasion with our Inn made-from-scratch 6 ” butter cake. It’s filled with strawberries and topped with buttercream icing. It comes in a little window cake box. At least 48 hour notice is needed. 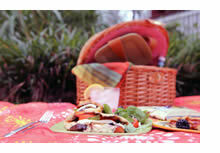 Our Inn-made picnic basket is something not to be missed! Enjoy it on the Inn’s property, a nearby park or get one to-go, for a day trip, from the Inn to the Jersey Shore. At least 48 hour notice is needed. *Due to Laurita Winery’s Food Policy, Inn guests may not bring picnic lunches to Winery property. How romantic to have silk rose petals leading up, and on to, your luxurious bed. A keepsake bag to bring home the petals is included. Pamper yourself at our Inn at Laurita Spa. A variety of services available for singles or couples. 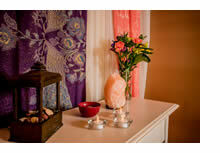 Please check under the “Spa Menu” tab, on our website, for pricing and services. Please select this option, if you’re interested, and the Innkeeper will email you the details or answer any questions you may have. 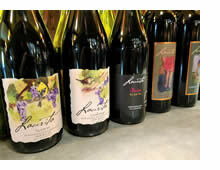 Pre-order a Bottle of Wine from Laurita Winery. (A $5.00 pick up fee per room will be charged to your credit card). Please select this option, then email the Innkeeper with your choice of wine. We will pick it up and have it waiting in the room for you. All wine products will be charged, using your credit card, on the secure Laurita Winery Go Payment app. You will see a Laurita Winery charge on your credit card. *Please note, it cannot be added to your reservation invoice. 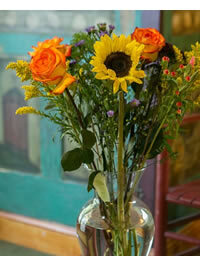 Enjoy being greeted by a colorful mix of seasonal flowers in a glass vase. The Inn at Laurita is close to three wonderful stables that do trail rides. 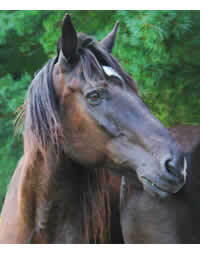 Please call one of the stables below and set up a reservation with them for the day you are staying with us.